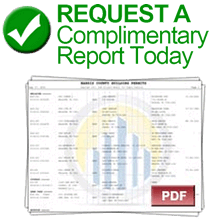 An HBW monthly report on leading pool builders and new permitting data in Florida for May 2018. Last month, there were approximately 1,660 new swimming pool permits with a total value of nearly $71M added to the HBW database for Florida. Out of the five major regions (SW, SE, Tampa, Orlando, Jacksonville) reviewed, the southwestern region ranked highest for total pool starts (427 permits) while Tampa ranked highest for average value of new construction ($45,678). Nothing quite compared to the southwestern region of Florida when it came to new pool construction. The southwest portion of the state led for total new swimming pool construction permits having nearly 430 new permits with an average construction value of $42,412 last month; the majority of pool starts originated from Lee (183 permits) and Collier (123 permits) counties. 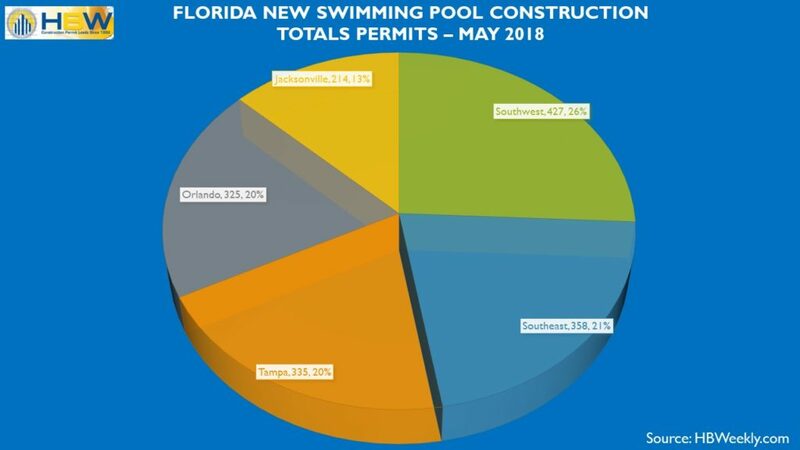 In the southeast region of the Sunshine State, new pool construction was strong, especially in Palm Beach (132 permits) and Miami (101 permits). During the month of May, nearly 360 new pool permits were added to the HBW database and carried an average construction value of $41,282. Tampa ranked third highest for pool starts last month where there were 335 new swimming pool construction permits. The average value of construction was highest in Tampa in comparison to other regions reviewed coming in at nearly $45.7k, and the greatest concentration of pool starts originated from the larger county of Hillsborough (104 permits). In Orlando, there were 325 swimming pool starts with an average value of construction just over $40.3k last month, and the highest concentration of new pool permits could be found in Orange County (113 permits). Last month, there were approximately 215 pool starts with an average construction value of $43.5k in Jacksonville, and close to half of all new swimming pool construction took place in St. Johns County (90 permits).